With the correct care, most cut flowers bougth from a florist will look good for at least a week if well cared for. Some varieties of flowers last longer and stay fresh looking for longer than others - ask your florist for advice on which cut flowers last the longest and what the best conditions to keep flowers in are. Try to avoid puuting a vase of flowers in direct sun. Only put your cut flowers into very clean vases. When filling vases use fresh lukewarm water then add some flower food. Top up vases with fresh regularly and at the same time add flower food. Remove the leaves from flower stems appearing below the water level. Florists in Surrey - Flower Shops, and Home Flower Deliveries in Surrey. Always buy your cut flowers and bouquets from an experienced and reputable florist. When choosing flowers select those that have firm flower petals, look freshand are not wilted. If the flowers are still in bud chose one that have buds show some colour these are more likelto to develop into full blooms. When you buy flowers from a florist, also request some commercial cut flower food if it is not already supplied. Commercial flower food preparations contain nutrients to nourish flowers and to control bacteria. Flower food also encourages the flower buds to open and prolongs the life of cut flowers. Bouquets and Hand Tied Posies, Funeral Tributes A Speciality, Planted Arrangements, Balloons, Chocolates and Gifts, Delivery To Most Areas. Local Delivery, All Major Cards Accepted, All Occasions Catered For Modern And Traditional Design. Weddings, Funerals and Events, Flowers, Gifts, All Occasions, Same Day Delivery Service, Fruit Baskets, Balloons, Vases, Teddies, Floral Arrangements, Christenings and Birthdays. Same Day Delivery, Weddings and Corporate Events, Sympathy Tributes, House Plants, Vases and Gifts, Fresh Cut Flowers Available, Worldwide Delivery. Premium Quality Flowers - Same Day Delivery, Belgium Chocolates, Bears, Balloons, Corporate Events Catered For, Worldwide Delivery Available. Contemporary Or Funky Designs, Exotic and Tropical Flowers, Award Winning Funeral Designs. Wedding and funeral flowers, Expert and professional advice. Corporate Packages, Funeral Tributes, Weddings, Special Occasions, Christmas and Gift Ideas, Professional and Reliable. Croydon's Interflora Florists, Beautiful Flowers, Flowers and Gifts Delivered, Guaranteed Deliveries, Wedding Specialists, Same Day Delivery. Wedding Flower Specialists, Funeral Flowers, Chocolates, Gifts and Balloons, Daily Deliveries. Flowers For All Occasions, Weddings, Funerals, Birthdays, Corporate and Private Events, Local - Worldwide Deliveries, Hand-Tied Bouquets. Flowers for Funerals, Weddings and Births, Creative Displays and Bouquets, Corporate and Contract Work. 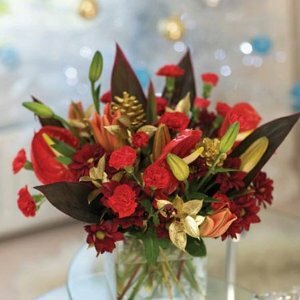 Flowers For All Occasions, Wedding and Funeral Flowers, Same Day Delivery, Contemporary and Traditional, Interflora, Croydon and Surrounding Areas. Hand-Crafted Designs Same Day Delivery, National Delivery, International Delivery. Wedding Flowers, Funeral Flowers, Delivery, Corporate Events, Special Occasions, Flower Delivery. Same Day Delivery Service, Prom and Graduation Corsages, English Flowers and Weddings.